The UnderJams is a bedtime underwear that promises to “absorb 20% more” so that your child can stay dry through the night. It’s ideal for children who have yet to outgrow their bedwetting problem, and it’s an alternative to an alarm and a mattress protector. In need one of those Pampers UnderJams reviews? Let’s hear it from parents’ feedback. Is this any good? Or should you go for another brand? Read on to find out. 1 What Is UnderJams Made Of? 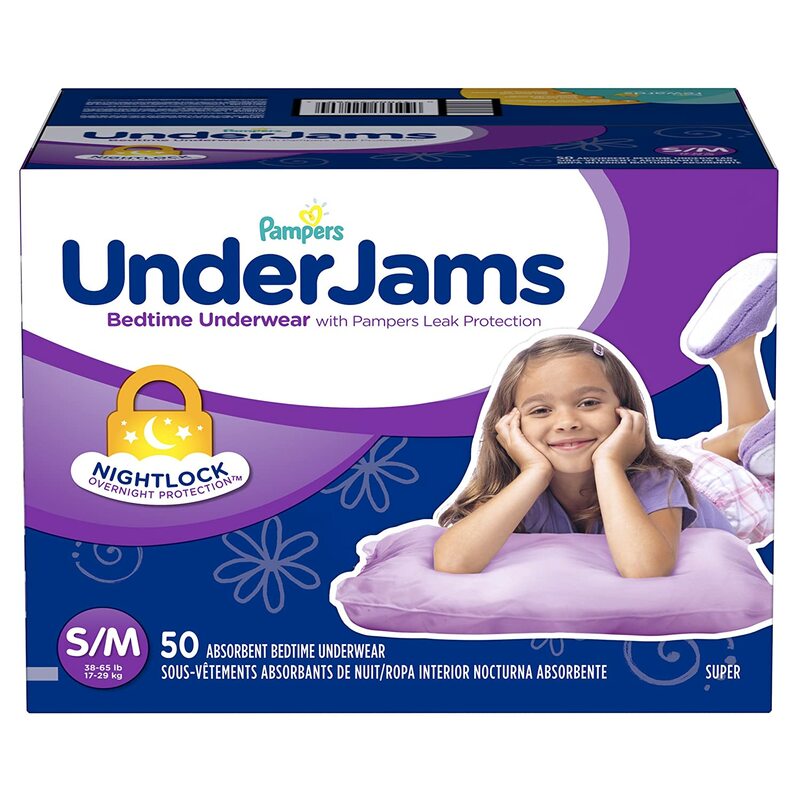 What Is UnderJams Made Of? Before that, let’s briefly mention that a Pampers UnderJams underwear is equipped with the following features. One, it has what the brand calls NightLock technology to lock urine (wetness) for up to 12 hours. Two, it’s made of cloth-like material so that your child would be comfortable Three, it’s low-waist. Four, it has nice, kid-friendly prints. Now… what does this underwear made of? 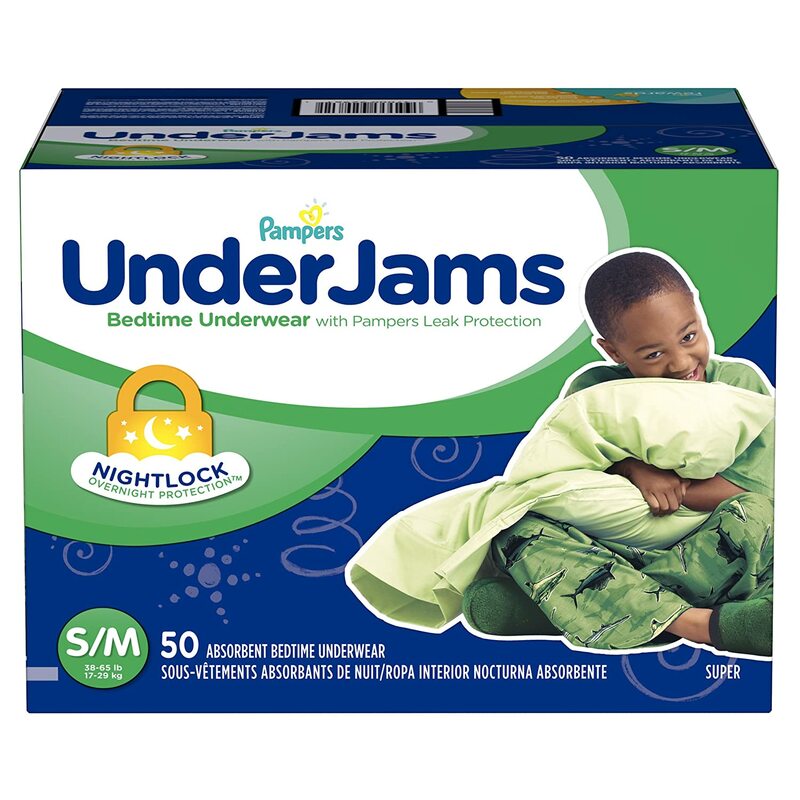 According to Pampers, UnderJams disposable underwear is made of layers of high-quality materials such as the following: a soft, absorbent fluff pulp for its topsheet/inner liner, polyacrylate polymer (responsible for locking away moisture), and polypropylene nonwoven and spandex for the leg cuffs. Let’s not forget to mention that the adhesives that keep the diaper in place are made of thermoplastic polymers. Note that these adhesives are tucked away from your child’s skin. The underwear’s backsheet film is made of polyethylene. Its waistband and backsheet covering attached to the backsheet film are both made of polypropylene. 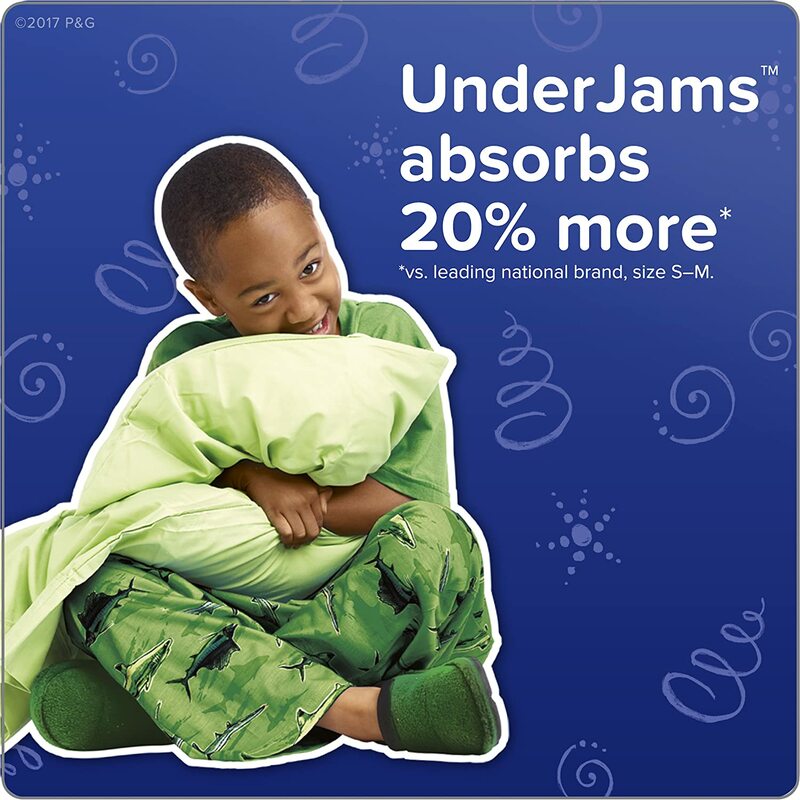 Here’s a summary of what parents say about their child’s experience with UnderJams. – Performance. Not everyone agrees, but the general feedback is that the UnderJams works for what it’s intended to do, especially if it’s “meant” for your child. – Comparison with GoodNites. GoodNites and Pampers are two of the most popular brands of disposable diapers out there, and parents can’t help but compare the two. Between these two names, GoodNites seems to be more favored. – Sizing Issues. Several parents have sizing issues with the UnderJams. One person said it’s “on the small side.” One person said that compared to GoodNites, UnderJams is smaller. Just like other brands of disposable underwear, the UnderJams may or may not work for your child. Parents who were unimpressed with this brand have raised the following issues: leaks, itch, and smaller (or larger) sizing. But based on general feedback, there are more parents who were happy with the Pampers UnderJams underwear, saying it worked for their child. Here’s the clincher, though. Compared with other brands, GoodNites is more favored than the UnderJams.